heads the Interdisciplinary Center for Clinical Research Laboratory for Experimental Stem Cell Transplantation at the Department of Medicine II (Director Prof. Dr. Hermann Einsele) and at the Department of Pediatrics (Director: Prof. Dr. Christian P. Speer, FRCPE; Head of Pediatric Hematology/Oncology and Blood & Marrow Transplantation: Prof. Dr. Paul-Gerhardt Schlegel) at Würzburg University Medical School since 2012. 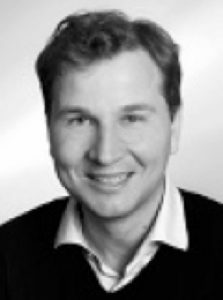 Additionally he is the coordinator of the Else-Kröner-Research College for Interdisciplinary Translational Immunology at Würzburg University. After finishing his studies in medicine and completing his thesis work in the laboratory of Prof. Dr. Ulrich Jäger at the University of Vienna Medical School, Austria, he followed an invitation to join as a postdoctoral research fellow the laboratory of Prof. Stephen Artandi, MD, PhD at Stanford University, USA. Following his interest in the field of stem cell transplantation he joined soon thereafter the group of Prof. Robert S. Negrin, MD, also at Stanford University. Since then Prof. Beilhack is working on mechanisms responsible for immune regulation in cancer, inflammation and infectious diseases. In 2015 Prof. Beilhack received a second doctoral degree for his work in the field of immunology and graft-versus-host disease from Würzburg University. The scientific contributions of Prof. Beilhack have been recognized by several research awards, including the Best Science Award 2004 of the American Society of Blood and Marrow Transplantation, the First International ADMO Award 2005, the Stowell-Orbison Award 2007, the Pathologist-in-Training-Award 2007, the Chugai Science Award in 2007 as well as the m4-Award of the Bavarian Ministry of Economic Affairs and Media, Energy and Technology in 2015.